Today my blog is trojan free.... fuffiness of blogspot amazes me, indeed. One day it's fine - another - it's not. But - who cares. I visit here once in a while (for this heck trojan thing that none of my computer scientists friends and family members understands and can stop). To comfort myself in face of capricious blog space, I want to recall one of my favourites: Fishcakes by uber-tallented and endowed with a peculiar sense of humour Voz Perkins . 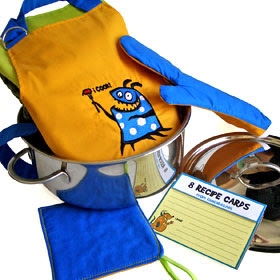 I like her doodles since I saw them, quite some years ago, on flickr (yes, there was a time, when I was doing doodles myself....) Kid's Kitchen Set with an apron embroidered with her "I Cook" and "I Bake" monsters, and coordinated set of recipe cards is still the coolest cooking/ baking set ever. 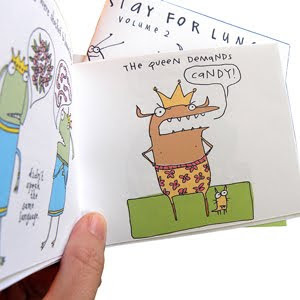 The sketcheress produced a lot of goods for last two years - you can see them (and buy them) here and many other places, too. 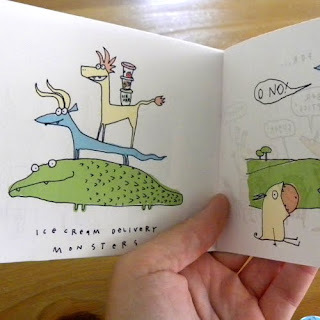 "Stay for Lunch" series with her whimsical monsters looks delicious - I can't wait to see them in person. Can environmentally friendly clothing be beautiful? 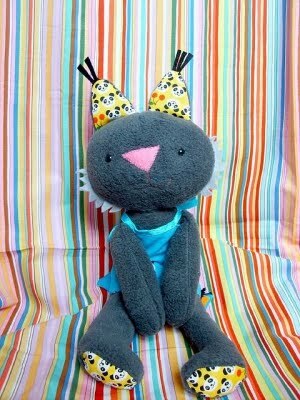 Can earth-friendly toy be cute? But of course. And can it be affordable? Absolutely. Maybe not in Poland, but some other places, it can. I like Entertaining Elephants for the simplicity of the outfits they offer. 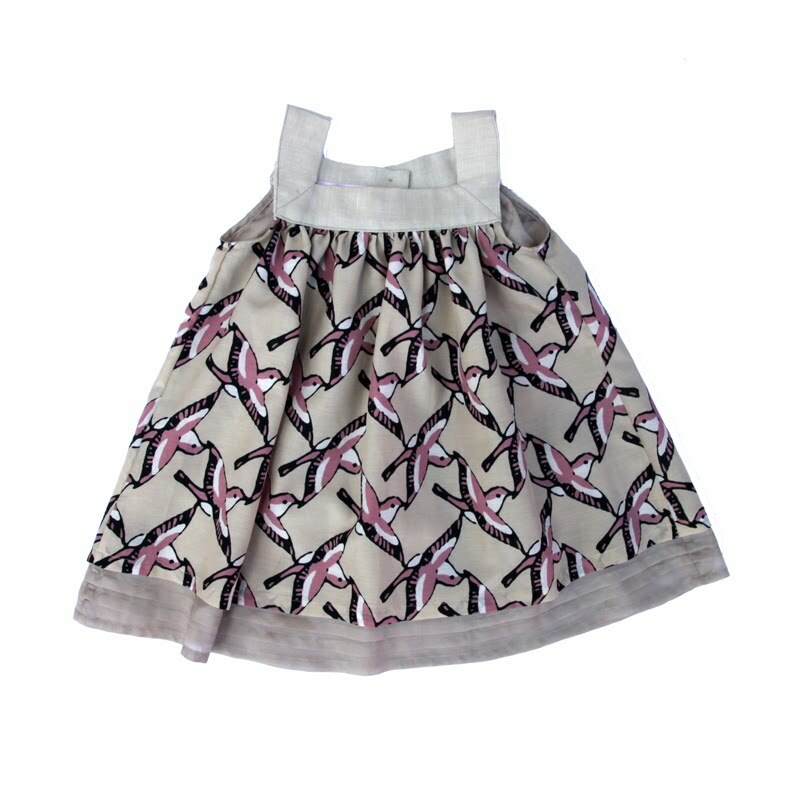 Or dress with decorative hem - maybe it would be great as a tunic too - made of double layer of silk printed in birds. What is the best: this dress is not cute - it's just beutiful dress also a mother would want to have. 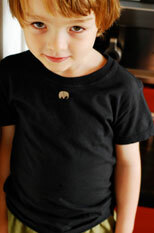 Maybe that's the key for my choice for children's clothes - I like only those clothes I wouldn't mind wearing. And their have an excellent logo - putting it in front of each item, with no woven labels was excellent idea. And it's also environmentally friendly. Among toys my favourite is this set of tableware - all made of recycled milk jugs! It seems that the quality of outfits haven't changed but their website have and now it's much more sophisticated than it used to be - from a shabby chic to modern chic, cool. 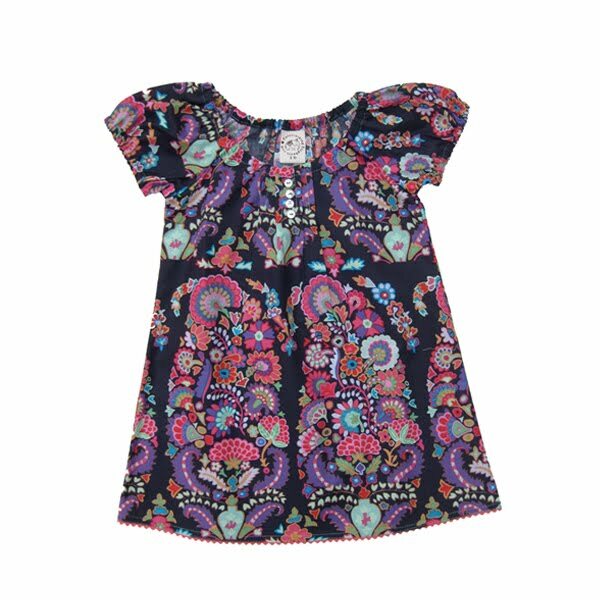 I just love ruffles and frills, and luckily I have a mini-me so I can dress her! In a tunic like that every preschooler will look lovely. Waking in an early morning I should focus on work - but what do I do? 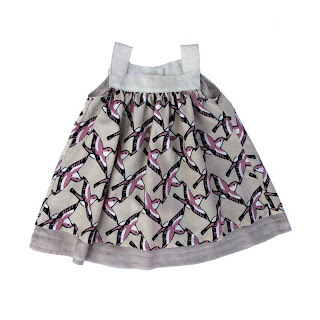 I browse through girl's clothes - and I found this warm taupe dress - adorable! If only I was flat chest I would wear it myself! With stripey longsleeves t-shirt and ballerinas. Well, maybe for stripey tee it would be better to have an alluminium version - it's gorgeous. 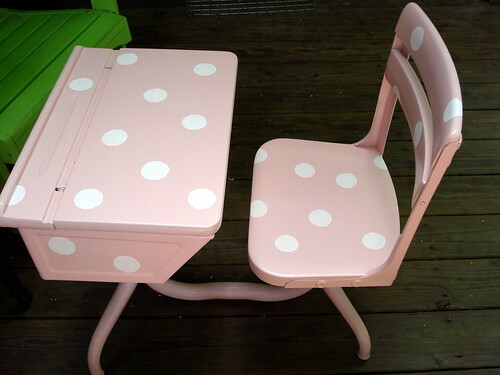 Pink Polka Dotted Vintage School Desk, originally uploaded by niftythriftygirl. What a day - hot and sweaty. To refresh myself I've just watched How About Orange blog again, as usual full of inspirational posts - and this photo (uploaded by niftythriftgitl) reminds me it's high time to show my re-modelled furniture and lamps! As soon as I get home, I promise (myself :) ) Re-modelling is fun, sustainable, and - as long as you don't destroy the stuff only to show how skilled painter you are, it's a real gift and respectful attitude towards our past, and good craftsmanship. So when I came across this guy and his short lecture at TED, I was moved to tears - he was speaking about the same idea I had that many years ago - but luckily, he managed to implement it in UK, and now Sir Ken Robertson is popularizing the idea across the world. Profound but still hillarious speach. And another interesting voice adding something to my research about alternative education - immense education. As far as I know, this type of education exists in UK, Wales, and works especially good among bilingual societies, like Welsh. Inspirational, isn't it? I remember the face of Russel Means from movies (playing Native American, of course...) but I haven't known that he's activist for Lakota independence and promotor of immense education. Well, let's celebrate this auspicious event thenm with writing about something useful - year ago I was writing about Fresh Air Fund - and they still exist! :) (I am very sorry Sara I couldn't write about the Fund earlier) - and maybe You would help somehow? They are still looking for host families :) so don't be shy and if you live in US, apply and become a host family for children who hardly or never experienced summer holidays outside the city. The Needle.Org - Join Us! This is a Flickr badge showing photos in a set called lalootka toys and illustrations. Make your own badge here. This is a Flickr badge showing public photos from the Plush You group pool. Make your own badge here.